THIS CUSTOMER CHOSE TO BASE HER FLOWER GIRL DRESSES ON OUR PEGEEN COUTURE FLOWER GIRL DRESS STYLE 603 FROM THE REGAL COLLECTION CALLED DIANA. 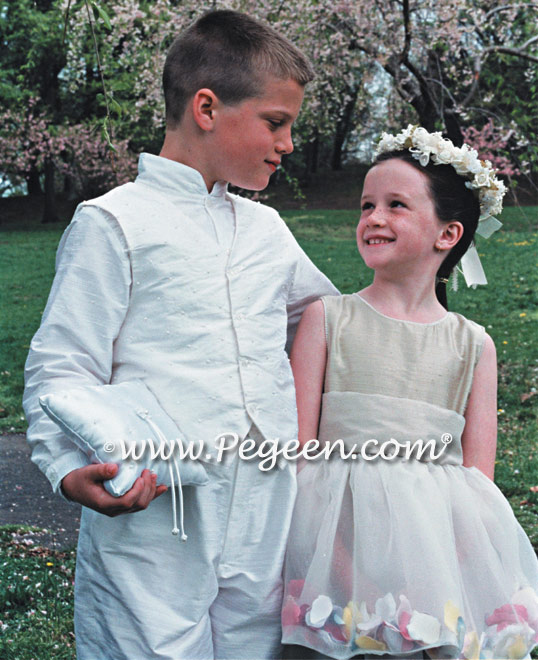 Custom flower girl dresses are not returnable as they are made to your specifications. We pride ourselves in our Guarantee Fit and Workmanship and ask that you provide measurements for your flower girl at a specific time to ensure a perfect fit. You can choose Other Options or ring bearer accessories like ties, pillows or vests in the other two menus. Pegeen is a manufacturer and designer of Fine Children’s wear, and our heart and soul goes into the process of each and every dress. We are not mass produced and do not sell to stores so that our dresses have an exclusive appeal to our customers. Each of our clients grow with us and many become long time customers. 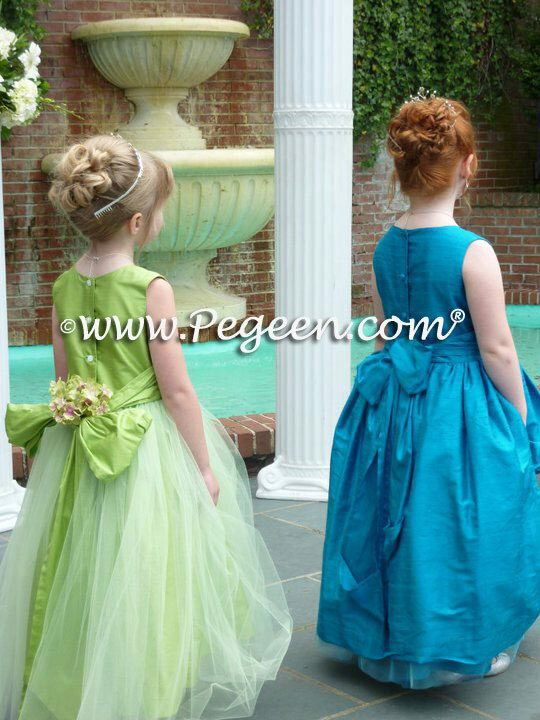 If you are looking for a cheap flower girl dress, don’t come to us because we don’t use fabrics that are not up to our standards. BUT if what you want is an impeccably made and gorgeous dress or suit for your child, from the finest imported materials, then we are your designer.